The book of Jeremiah is the longest book in the Bible (in terms of words and verses) and is certainly one of the most complex. Yet for all of its difficulty, the book’s depth of reflection on divine action and human response, as well as the range and rigor of its rhetoric, has kept the book very much alive in the religious communities that recognize its canonical stature. Indeed, its language of "new covenant" has left its mark on the very name of the larger biblical collection to which it belongs. Jeremiah is a commentary on a prophetic book that presents many difficult literary, historical, and theological issues for the reader. After a lengthy introduction, this commentary works with sections as a whole, rather than proceeding verse by verse. The commentary focuses on literary and theological issues with the added intention of providing thoughtful reflections for those who would preach and teach these texts. 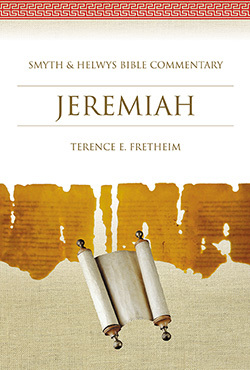 In this volume of the highly successful Smyth & Helwys Bible Commentary Series, renowned Old Testament scholar Terence Fretheim expertly leads his readers through the difficulties to find the book of Jeremiah as one of grace and hope for today's world. After a long absence of Jeremiah commentaries, we are currently happily experiencing a revival in Jeremiah studies and a variety of new commentaries. Among the more important of these is this offer by Terence Fretheim, perhaps the premier biblical expositor of his generation. Fretheim is thoroughly grounded in critical study; but his commentary is no weary repetition of that learning. Here speaks a lively believer attentive to the current world and convinced of the pertinence of the texts to that world. The welcome outcome is an effective connection between text and world made by Fretheim as well as can be made by any contemporary interpreter. Fretheim’s contribution is a major presence in the new Smyth & Helwys commentary series that holds immense promise for critical, faithful exposition. This perceptive commentary benefits from Terence Fretheim's attention to theological substance and to stylistic detail. 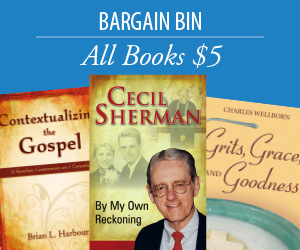 Readers will be well served by his mediating position between maximalist and minimalist interpretations of the book of Jeremiah, as well as by the rich analysis of the prophet's understanding of God. Terence Fretheim's commentary makes the book of Jeremiah accessible and appealing for readers at this crucial time in our history. Like no other commentary, this one illuminates the suffering of God and the suffering of creation in the book of Jeremiah. Fretheim draws out from the text the interconnections of human actions, political realities, and ecological well-being. He calls Jeremiah an assaulter of the mind, a champion of the poor, and a prophet of divine anguish. Balanced scholarly judgment characterizes this commentary. Fretheim finds in the figure of the prophet neither a fiction nor a precise historical character but a persona who embodies God's voice, God's pathos, and God's love. The commentary is beautifully written, clearly designed, and sprinkled liberally with interpretive voices and perspectives other than Fretheim's own. The book will make a wonderful companion for any reader of Jeremiah, and this biblical text will be a central resource for the work of recovery and critical analysis after the September 11th tragedy. Few interpreters of Scripture go so quickly and well to the heart of the matter as does Terence Fretheim. Nowhere is that more clearly demonstrated than in his clear and articulate comment on the book of Jeremiah. Fretheim's long wrestling with the God of the Old Testament has been brought to bear effectively on his interpretation of that ancient God-wrestler, Jeremiah. If one wants to hear the word of the Lord afresh in the study of this most important prophet, Fretheim's commentary gives the reader a whole new set of ears for careful listening.